We spend a year on Mondraker's radical Forward Geometry-equipped Dune XR. Was it a small step or a giant leap? 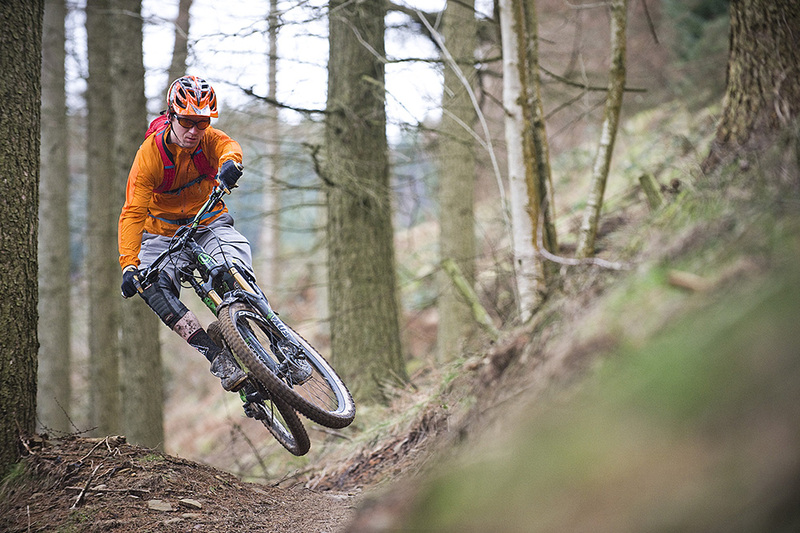 Several wonderful days at Bike Park Wales picking apart the Enter the Dragon and Dai Hard black trails. 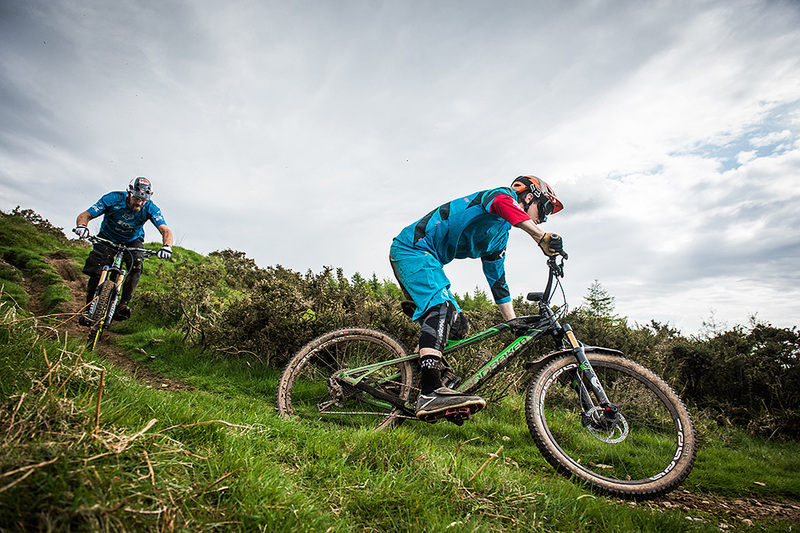 Riding with Chris Porter aboard his extreme, custom Dune XR on some secret spots in South Wales. Experiencing the improvement in grip once the suspension had been serviced. Constantly farting about with the self-tightening E13 rear hub bearings. Keeping all the suspension pivots tight and well-lubricated. Removing the bars to tighten the headset with the 10mm stem is tedious. 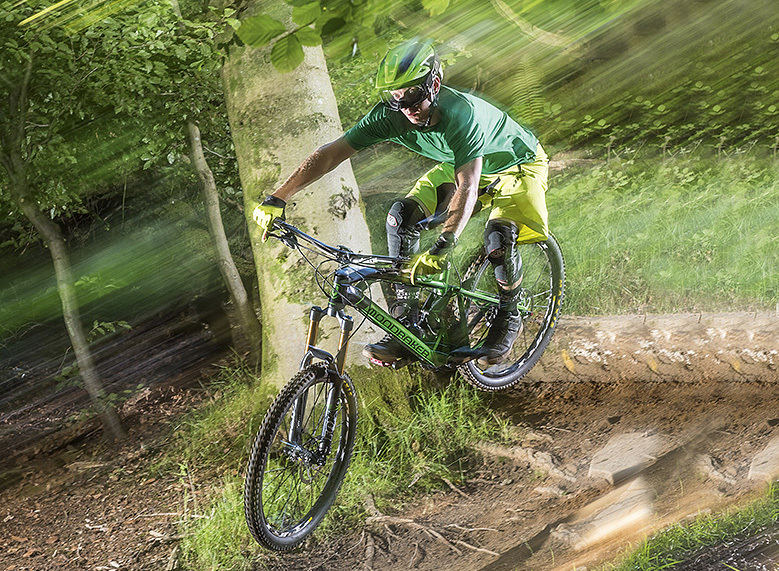 What attracted you to the Mondraker? A couple of year’s ago I was bullied into trying the Dune XR by Fabien Barel and Chris Porter (from Mojo) at the Forest of Dean. I wasn’t sold on the looks, but even one run down the hill on a borrowed bike with the wrong suspension set-up was enough to tell me there is more to Forward Geometry than meets the eye. Even my heavily callused hands couldn’t cope with the rock-hard Onoff grips, so they were replaced from day one. I lived with the other components, for better or for worse, in sickness or in health, for the next few months, until one-by-one they fell by the wayside. More on that later. Had I been happy to extract about 80 per cent of the Dune XR’s potential, the answer would be yes. But really maximising its performance took time, effort and a little bit of cash. A large-volume spacer in the Fox Float X shock helped the suspension ramp up and allowed me to run slightly more sag — which had the additional benefit of putting the suspension linkage in a more effective window. And the Fox 34 fork benefitted from an upgrade to the more supportive 2015 FIT damper — helping to prop the fork up on steep descents. Subtle changes, perhaps, but enough to help release the Dune XR’s full potential. Whether up or down, the Dune felt most at home when it was steep. With 160mm of travel, a long wheelbase and motocross-style riding position (thanks to the 10mm stem), it relished fall-line descending. It loved to charge down rough, loamy chutes, plough through stutter bumps and carve big sweeping turns. It was super-stable in the air and always wanted to go full gas. The steep seat angle and upright riding position also gave it unexpectedly impressive climbing performance, and I’d often find myself twiddling up impossible gradients. I found its kryptonite in flat trails and slow speeds. Weighting the front tyre was a challenge, and I would teeter between pushing the tyre through the corner and allowing it to tuck under. At over 30lb, it was not a bike that liked frequent accelerations. Carrying speed and a smooth pedalling style were key to decent progress on rolling terrain. Having said that, for a 160mm bike I took it on a few big rides around Afan and Cwmcarn, and on many unassisted laps of Bike Park Wales, without spitting the dummy. Lots. 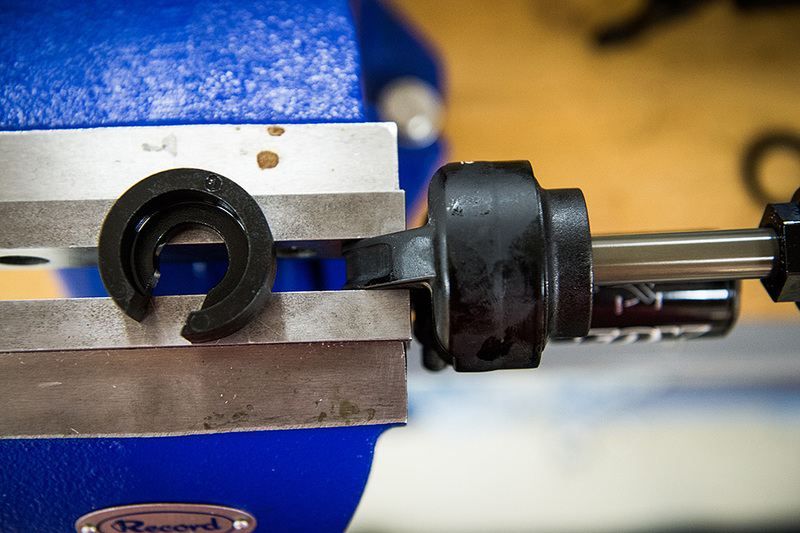 The headset bearings quickly became notchy and infiltrated with grit, ditto the front and rear hub bearings, lower link pivot bearings and shock bushings. Everything bar the hub bearings were refreshed and serviced, but additional problems with the E13 TRS + wheels led me to ditch them in frustration and fit a set of Mavic’s Crossmax XL instead. The chain was too long from the factory, and I was too lazy to shorten it, so derailments were more frequent than I’d have liked. If you could change one thing about you’re longtermer what would it be? There are several major components vying for that position on the Dune XR, but ultimately the biggest improvement Mondraker could make would be to sort out the durability. Less fragile bearings and longer periods between strip-downs would make the Dune XR a far more appealing longterm prospect. Word from Spain is that’s exactly what’s happened, but only saddle time in the grime will reveal the truth. Would you buy this bike and why? Not this one — there are too many issues with the spec — but having seen next year’s model, I would buy the 2015 version. 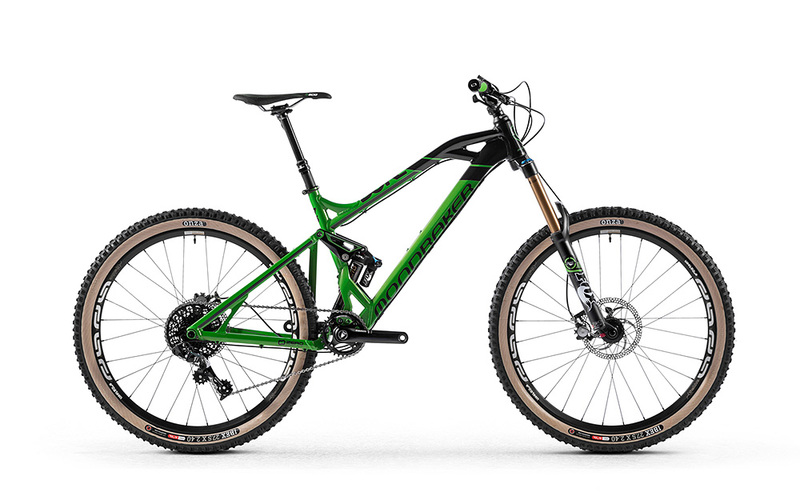 Actually, I’d probably go for the cheaper RR model at £3,999, which comes with the new Fox 36 RC2 fork, DT Swiss E1900 wheels, Stealth Reverb, Maxxis High Roller tyres and a smokin’ hot orange and black paintjob. The only change I’d make would be to insist on a 10mm stem before leaving the shop.